Roasted Garlic-Bacon Aioli, Gruyere Cheese, Caramelized Onion, Bacon, Arugula, Balsamic Syrup. Courtesy photo. Taverna Italian Eatery in Kapalua is announcing weekday lunch service starting Thursday, Nov. 15, along with a weekend brunch menu. 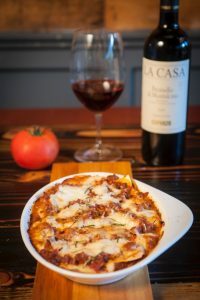 Lunch is served from 11 a.m. to 2:30 p.m. Monday through Friday, and features soup of the day, a variety of salads, pizza, signature lasagna and fresh fish. 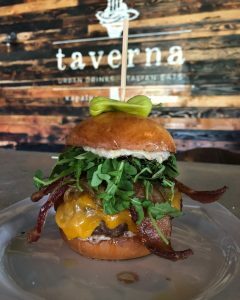 Among sandwich, sub and panini options, Taverna will also be showcasing a CPB House Burger as a shout-out to its sister restaurant Cow Pig Bun, which has plans to reopen in Kīhei soon. Its new brunch menu is offered from 9 a.m. to 2:30 p.m. Saturday and Sunday. 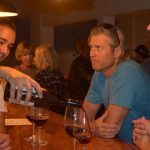 Options include açaí bowls, Hawaiian sweet bread french toast, egg scramble, lobster benedict, short rib loco moco, brunch pizzas and more. There are also “eye opener” drinks like Mimosa, Bloody Marys, Prosecco and Peach Bellinis. Dinner at Taverna begins nightly at 5:30 p.m. with indoor or outdoor seating, and a bar that seats 32 and features local beers on draft and custom cocktails. 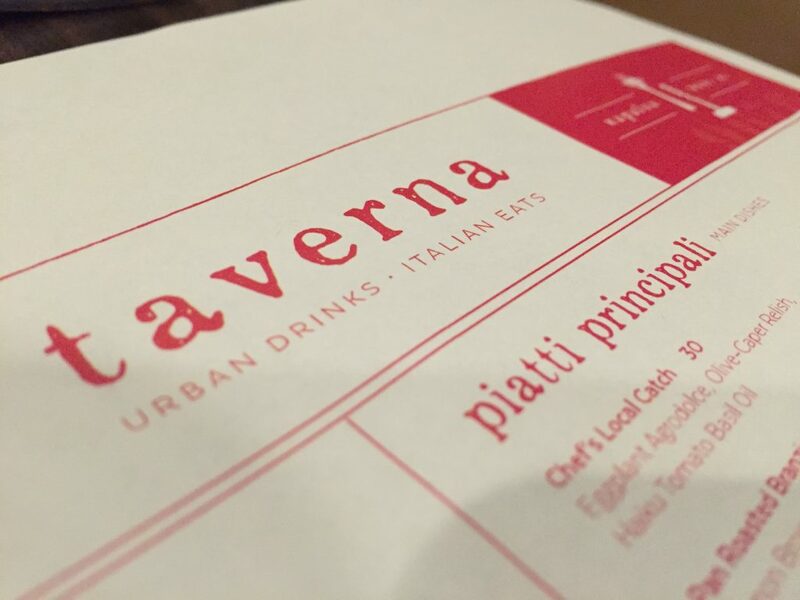 Opened in March 2016, Taverna Urban Drinks + Italian Eats was created to be a gathering place. 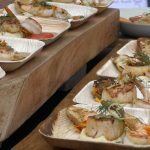 The award-winning restaurant offers Italian cuisine created by a renowned international chef in a relaxed and casual setting. 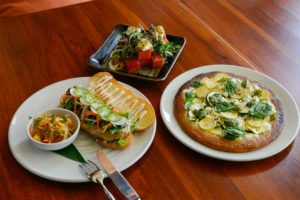 Taverna is located at 2000 Village Road in the heart of Kapalua Resort. Call (808) 667-CIAO (2426) to learn more.